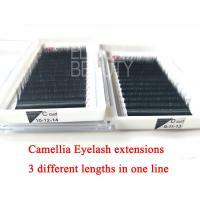 New design OEM brand camellia eyelash exensions beauty supplies.New design OEM brand camellia eyelash exensions beauty supplies.Camellia eyelash extensions,one line has 3 different names,easy to take,easy to apply and easy to flowering,volume and give full looking.This camellia eyelash extensions are in new design as customers need.And we do customers own brand cards,do OEM,ODM.We are the beauty lashes supplies,supply the beauty lashes to you. 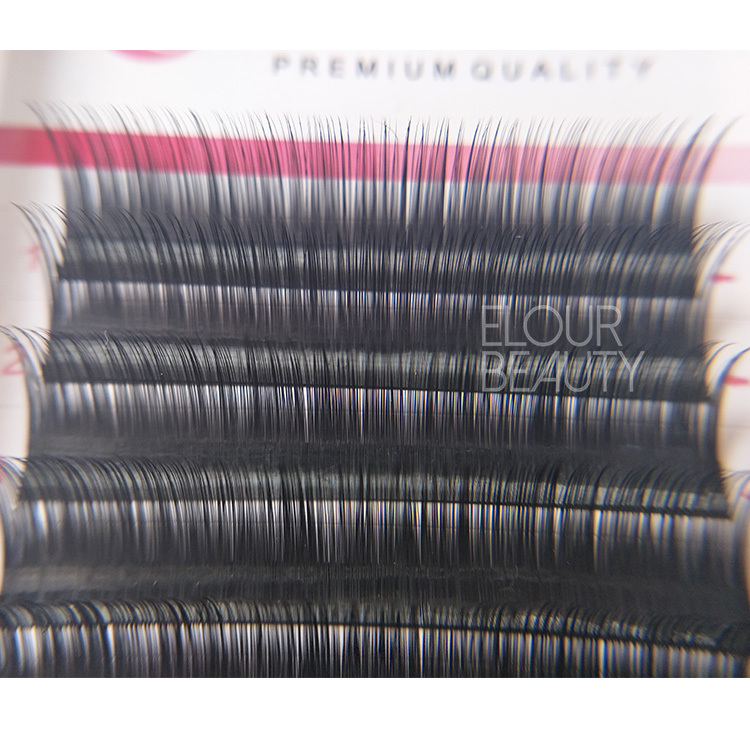 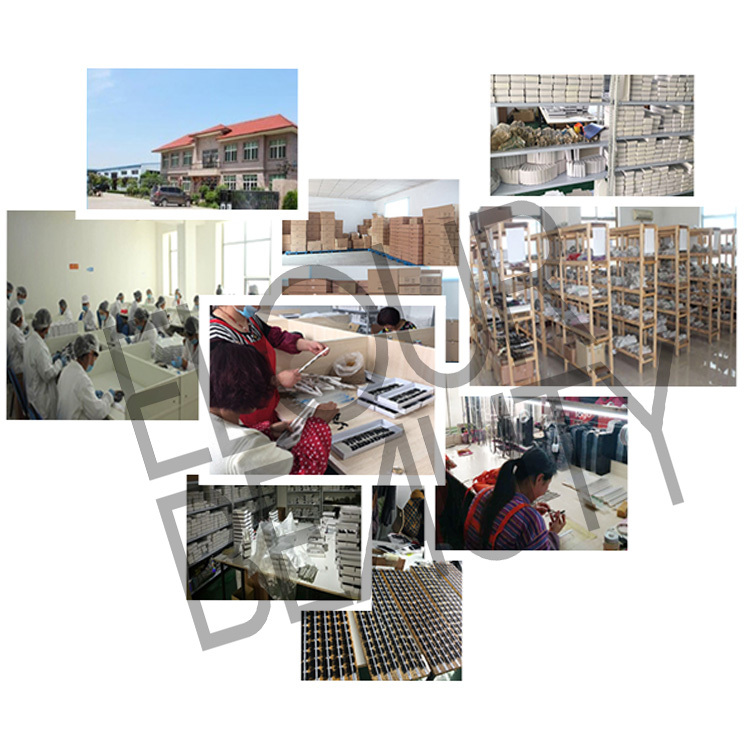 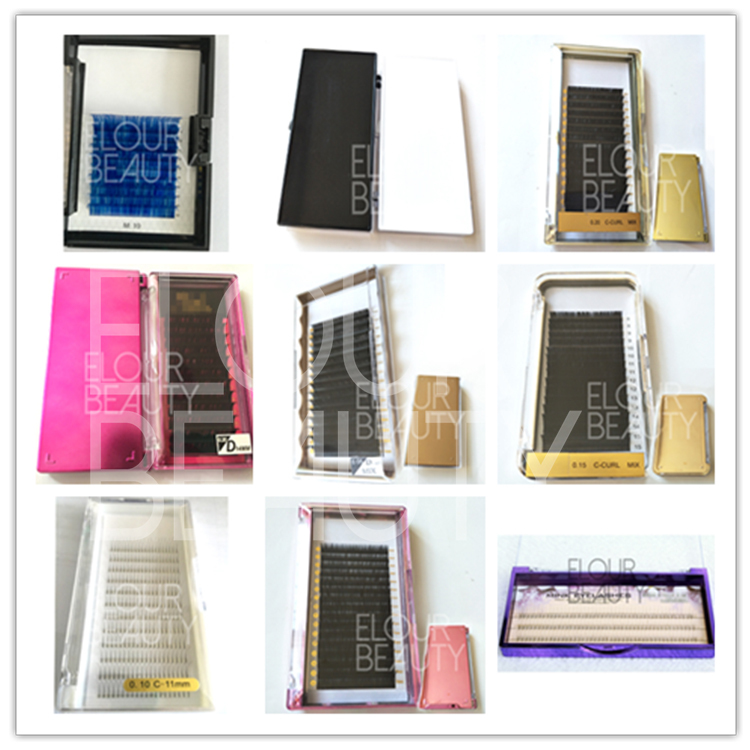 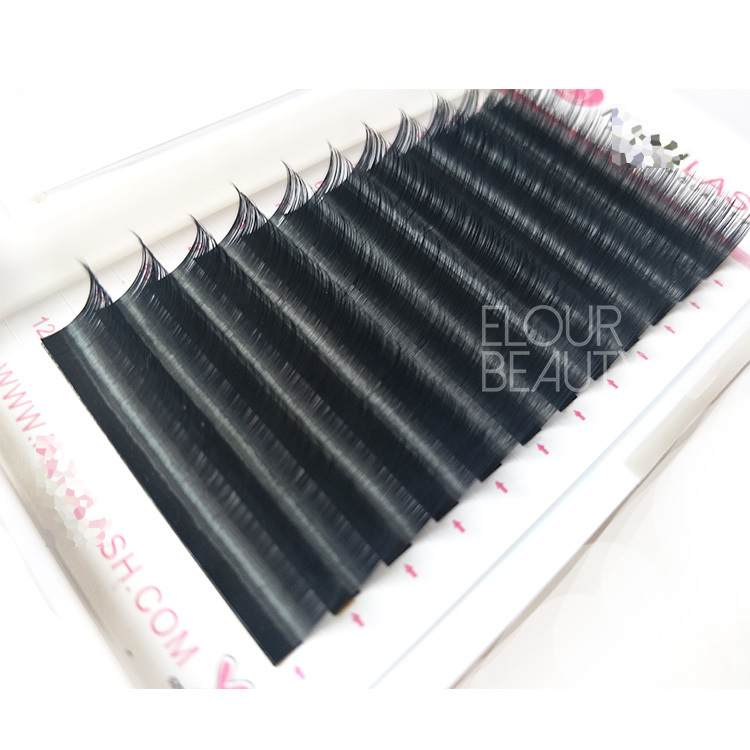 Elour Lashes start the eyelashes production more than twenty years ago.When eyelashes just come up,our company founder knew from USA,he did try to make.FIrslty from family workshop,gradually bigger and bigger,now we have more than 120 workers,and 2000sq factory.And we do some different kinds lashes,and our daily output for total lashes is about 70,000prs.Can satisfy big order need.Most importantly is our quality is guaranteed,and we have full set mangement system and production system.And we have own package boxes factory,so from us,you can purchase lashes and package boxes with high quality and low price ,and fast delivery.Welcome all the friends contact us! 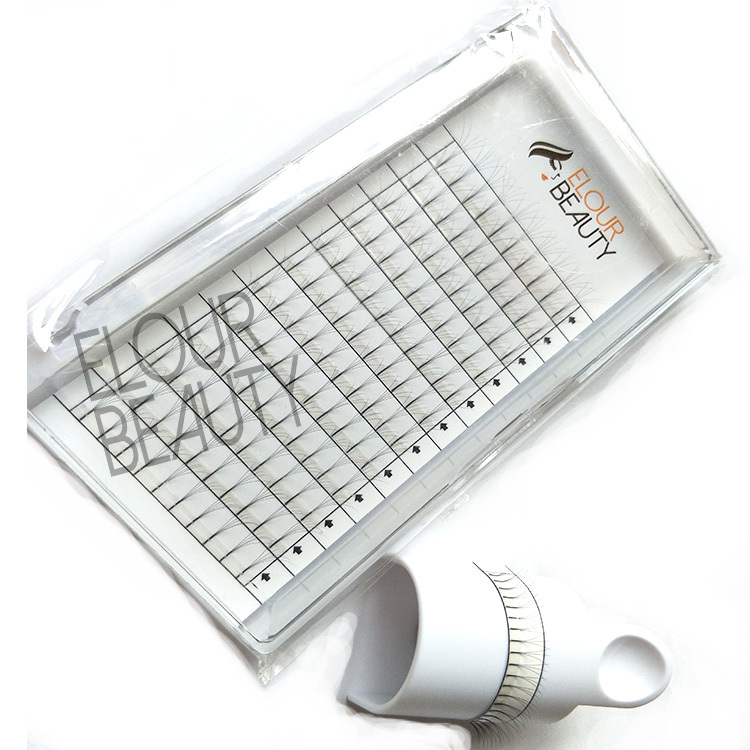 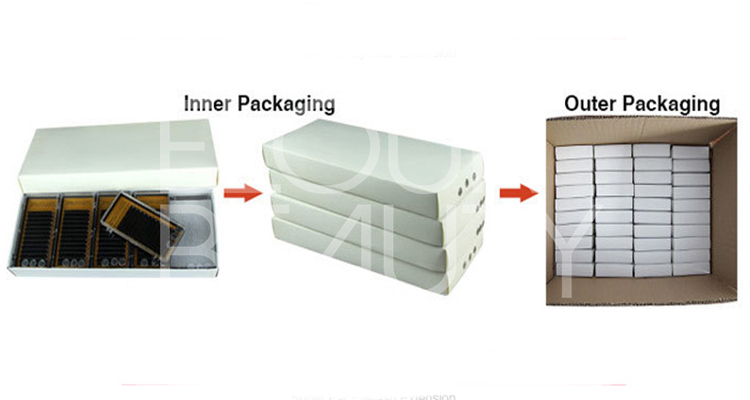 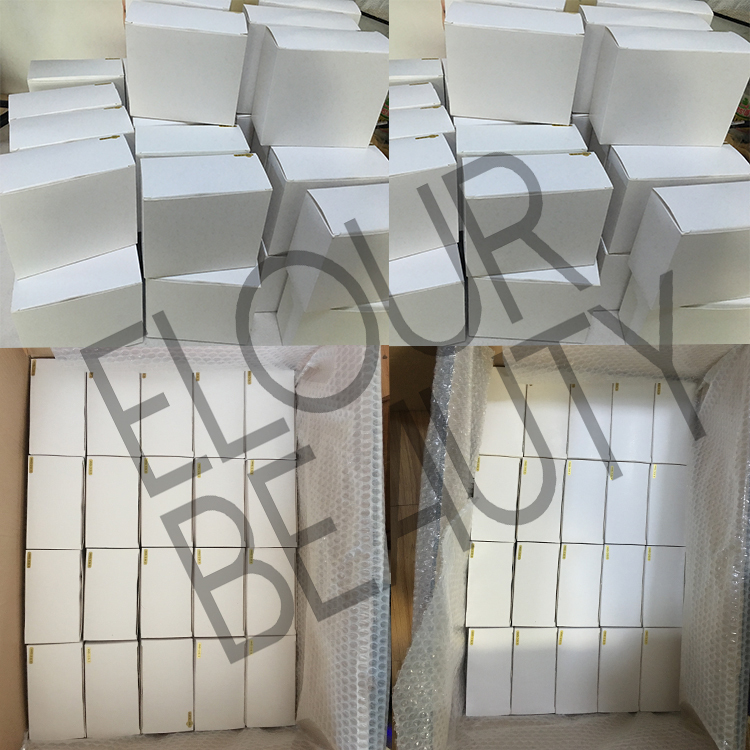 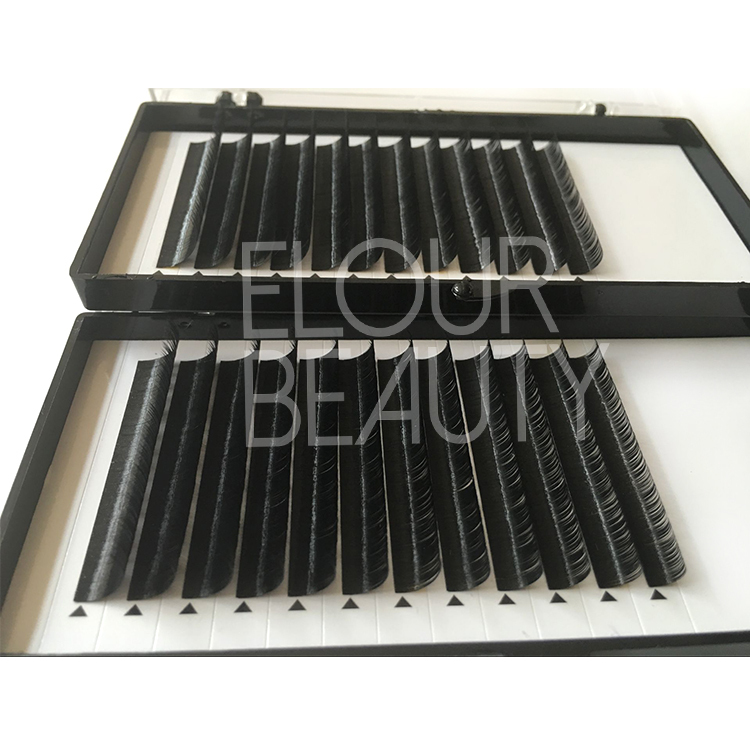 C curl camellia eyelash extensions,12 lines per tray,with customer's private label card,OEM,with high quality white box package. 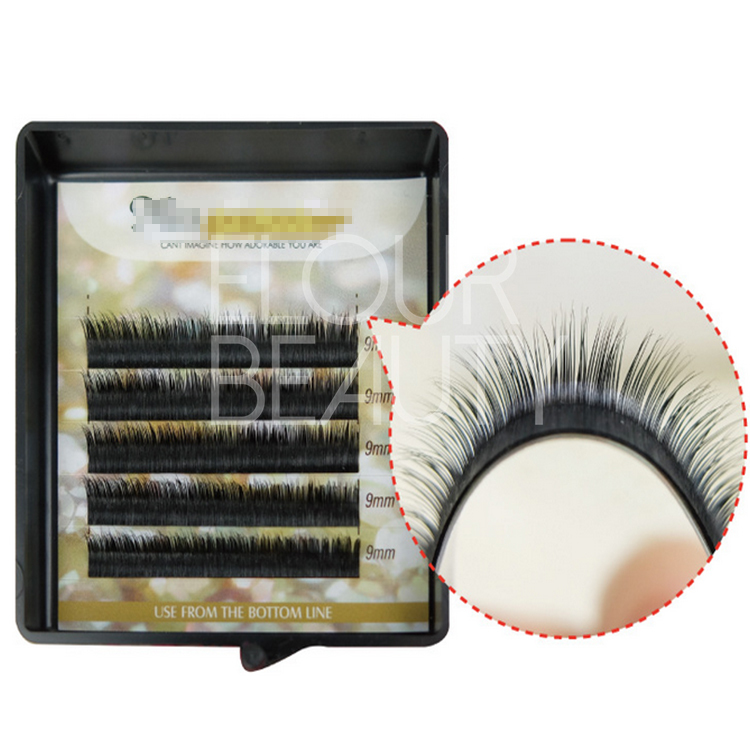 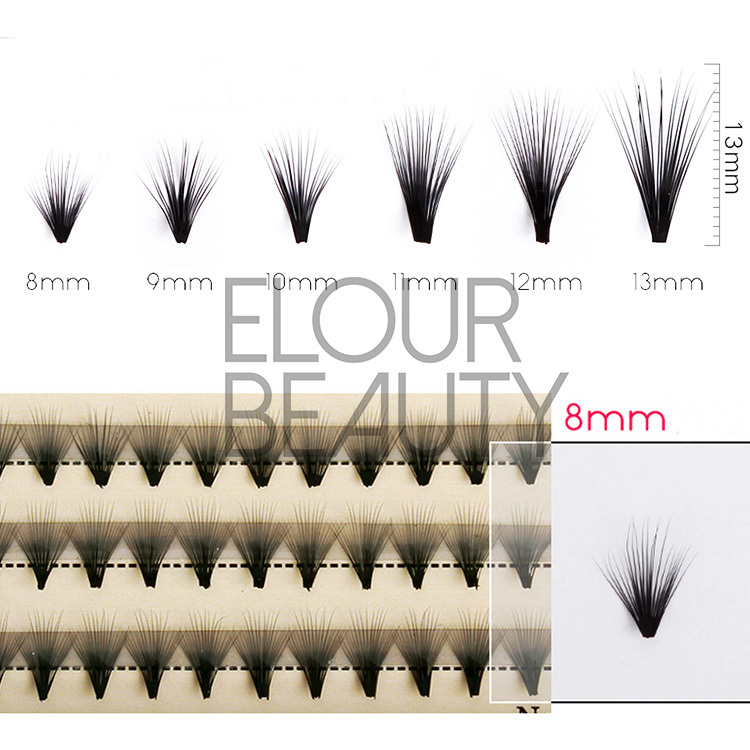 C curl and D curl camellia lash extension in 0.07mm diameter,soft,light weight,each line in 10-12-14mm length and 9-11-13mm length,you can take how many hairs as need,easy flowering. 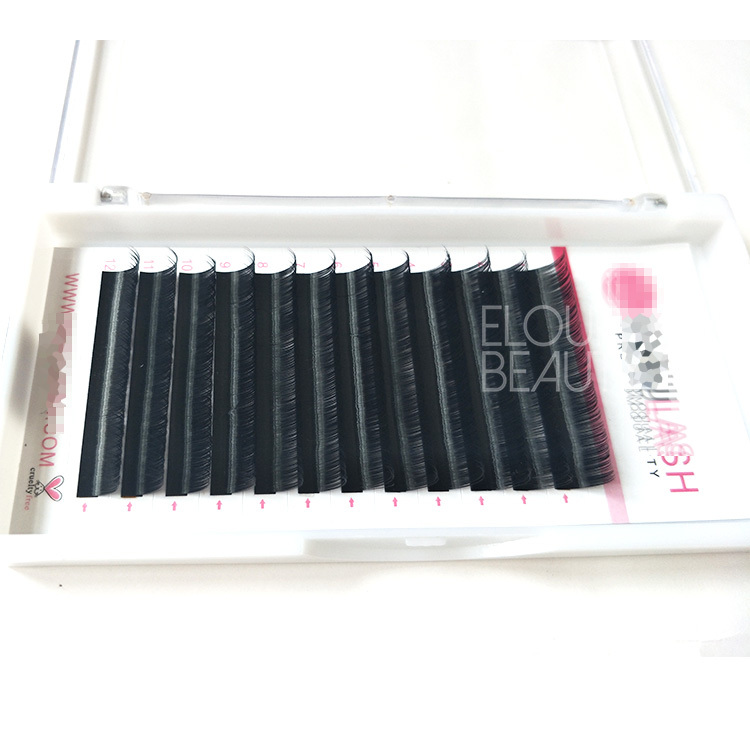 12 lines wholesale beauty supply camellia lash extensions,private label,12lines,16lines,as needs,high quality,stable curl,long lasting. 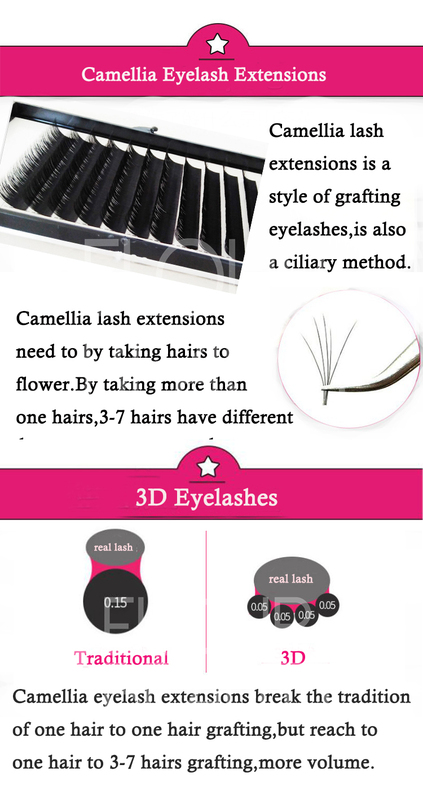 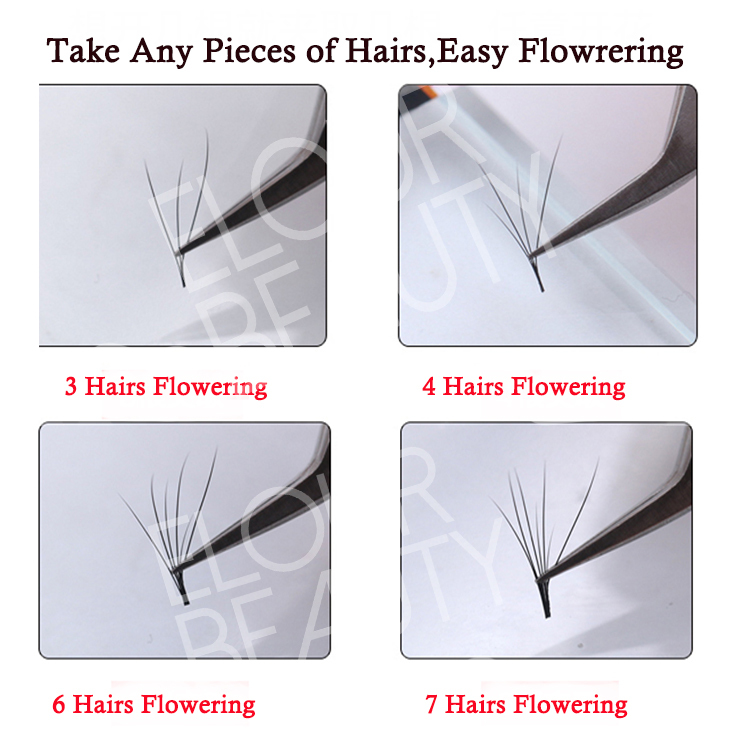 Volume camellia eyelash extensions,each line has 3 different lengths,one-second flowering,2D,3D,4D,5D,6D,10D as need. 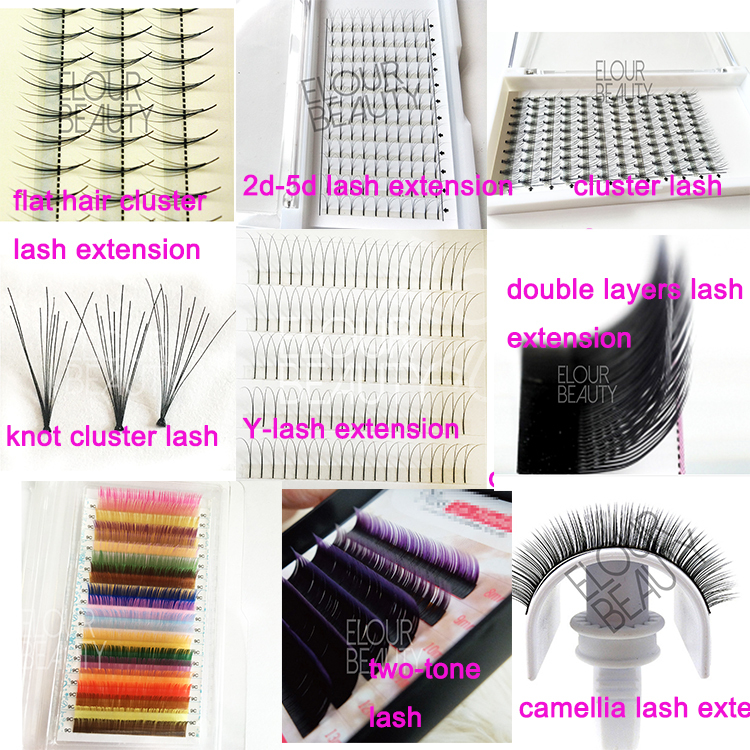 All of these eyelash extensions can make in private label,we do as need,best quality at best price.